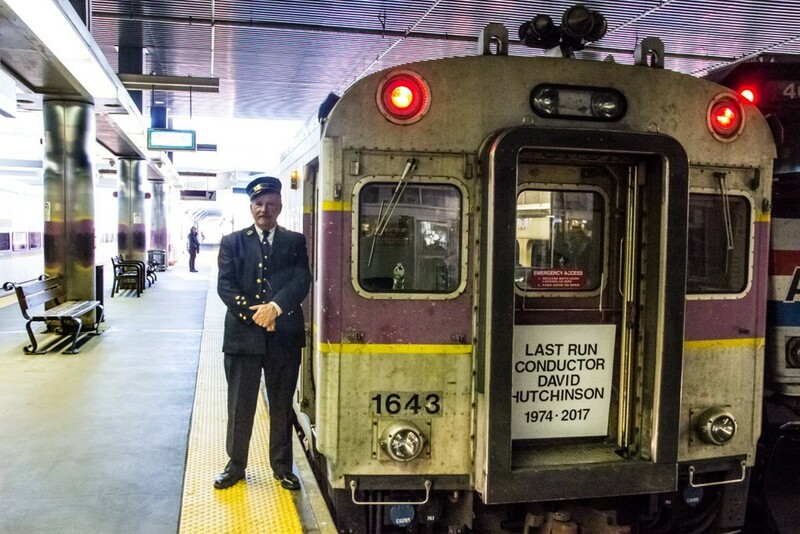 Ater almost 44 years of service to the Boston & Maine and its successors, I'm hanging up my keys and lantern and riding off to retirement in style. I guess I'll have to update my NERAIL profile. Photographed by Mike Rosenberger, October 17, 2017. Added to the photo archive by David Hutchinson, October 19, 2017. Congratulations David! May you have more miles ahead of you! Good luck, David! May the track be long and clear. Congrats David. Enjoy your retirement, and thanks for sharing! More time to shoot trains, eh, Dave?